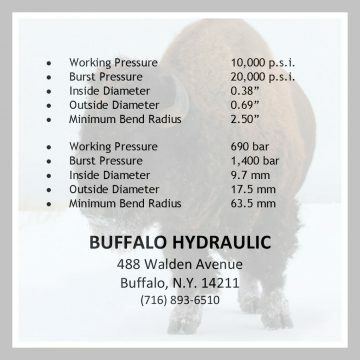 Buffalo Hydraulic represents 11 manufacturers of high pressure, hydraulic hose, fittings, and adaptors. 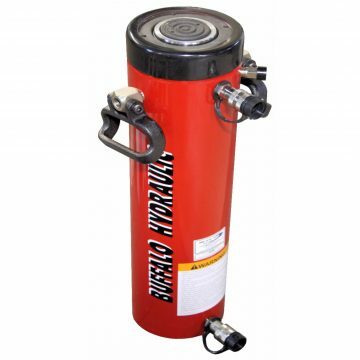 We’re able to ship any length and quantity 10,000 psi working pressure, 20,000 psi from our Aeroquip inventory. 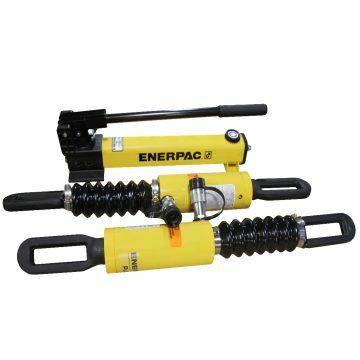 These hose assemblies are supplied with 3/8″ I.D. 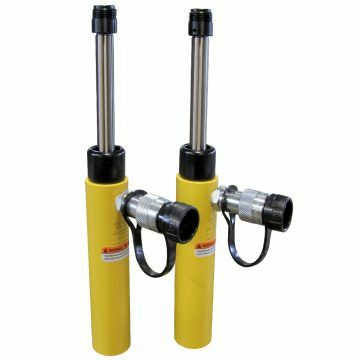 to provide a high flow quality to any 10,000 psi (689 bar) system and can be delivered lesser in cost than typical 1/4″ I.D. versions. Please contact us to discuss your high-pressure plumbing needs.